The Artist’s Studio? navigates through various typologies of the artist's studio. 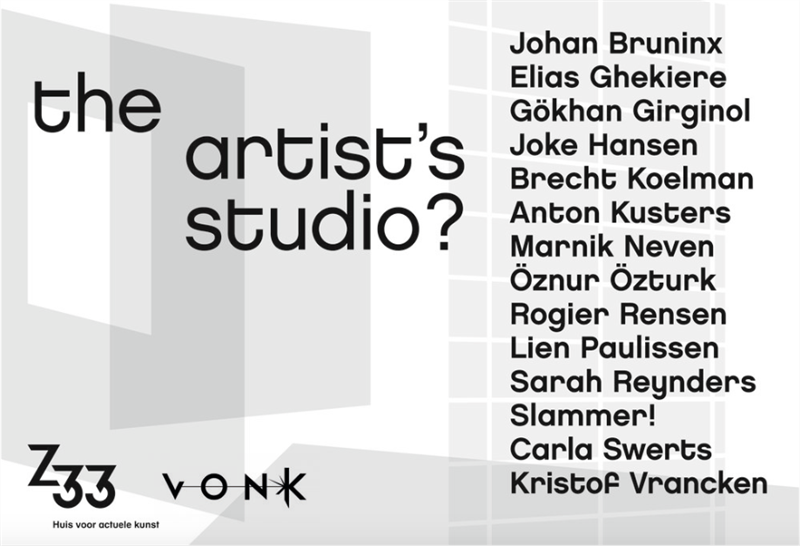 Starting from the different artistic practices of the artists of Vonk (an organisation that provides studio spaces to professional artists in the cities of Hasselt and Genk), the exhibition focuses on the relationship between the artworks and their place of origin. Does the artist need a permanent studio to work in? Is the studio a place of reflection or rather a sanctuary? Does the studio function as a museum? Or is it primarily a laboratory for the production of knowledge? Curators Sofie Dederen and Dirk Engelen (B-bis architecten) engage in conversation with Vonk artists regarding the necessity of a studio and what is the ideal form of a workplace for a creator. The outcome is presented in Z33’s beguinage houses. With its research into the evolving art practice, The Artist's Studio? is part of the Z33 Research Studio Work. Z33 Research stands for the greater subjects and lines of thought that Z33 works on for longer periods of time. More information: www.z33research.be.